This is a pencil sketch of my new cap. I composed an abstract portrait of me wearing it, a few days ago. 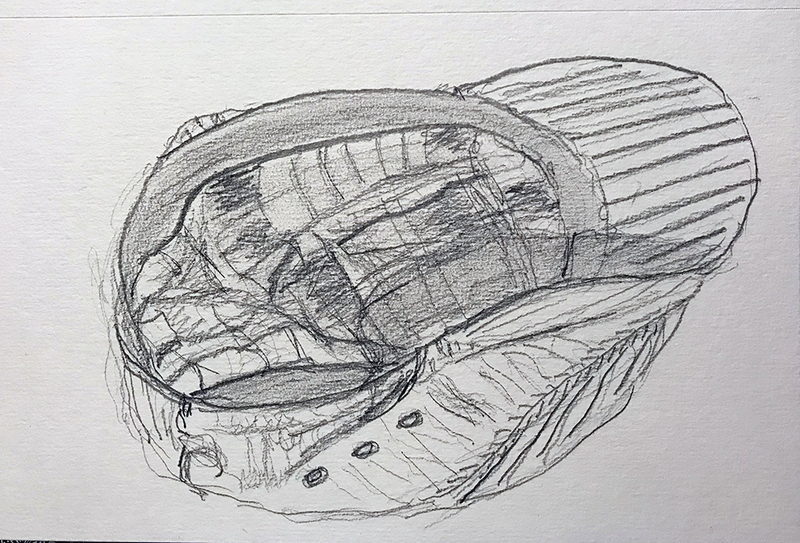 This entry was posted in Personal Stories and tagged art, artistic process, cap, creative process, creativity, drawing, pencil sketch, sketching, visual arts. Bookmark the permalink. Thanks, PMu! I appreciate that.